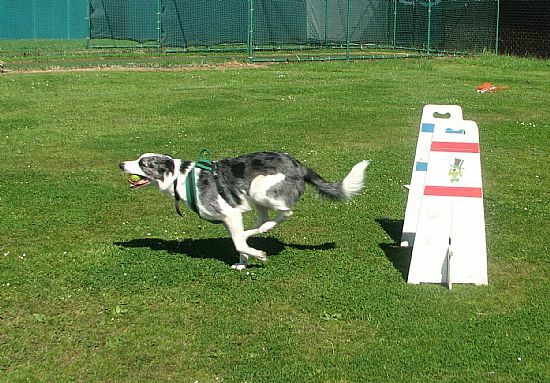 Flyball is a fun sport for you and your dog. 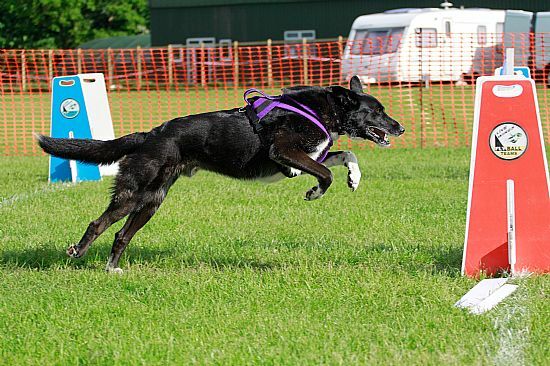 Dogs of almost any age and size can take part, owners of any age and size can also take part!! 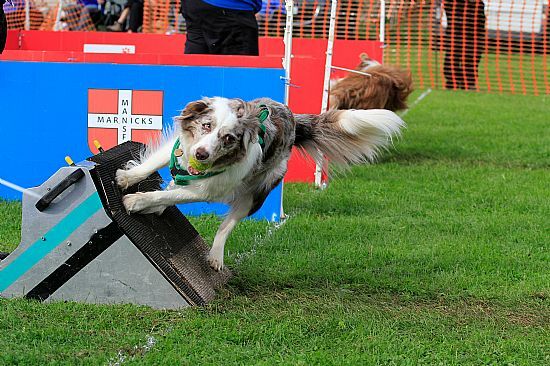 If your dog is fit enough it can play flyball - you will also find you will get fitter too! 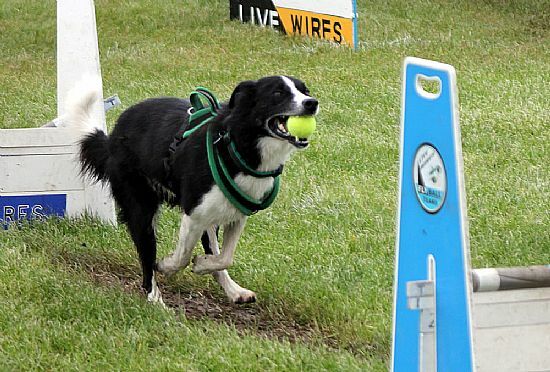 The only age restriction is that your dog must be at least 12 months old for starter competitions and 18 months old to take part in a sanctioned flyball tournament. This age restriction is purely to safeguard the dog's long term health. 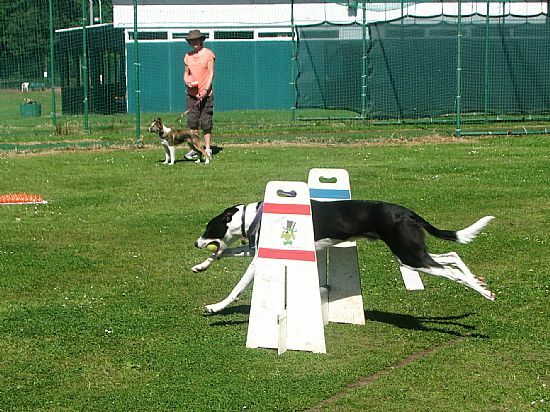 Flyball is basically a team sport. Each squad can consist of up to 6 dogs and from this 4 are selected to take part in each heat. It is basically a relay race with 4 dogs and their owners/handlers in each team for that heat. 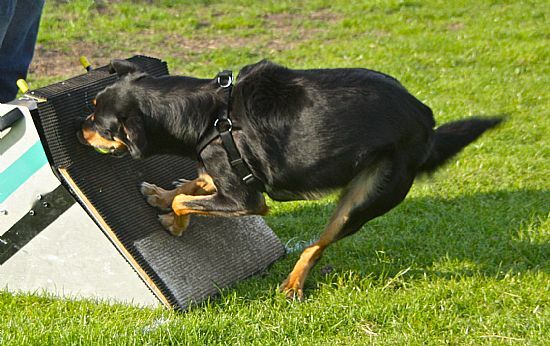 The 5th member of the team is the box loader and whilst they are not running one of the dogs they are critical to the team's performance and have to make sure the ball is ready and in the right place for each dog. They have to know the preference for EVERY dog in the team AND have to be very nimble fingered to reload the box in time for each dog. 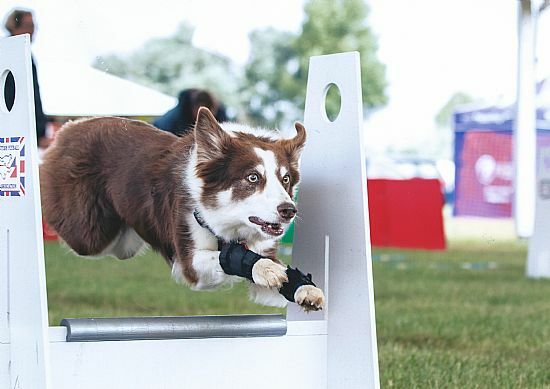 The dogs race against a team in another lane over 4 hurdles, retrieve the ball from a box and return it to the handler, the next dog does the same and so on until all 4 dogs have run. The winning team is the first to get all 4 dogs over the line without any faults. 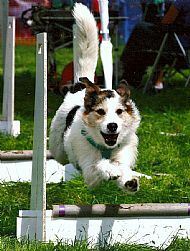 The sport is the fastest growing dog sport in the country and it also played world wide, using the same rules, in countries as diverse as USA, Canada, Japan, Australia as well as many European countries. It is a very social sport with most teams opting to "camp" at the various weekend tournaments - resulting in a lively social life for you and your dog. The Cheshire Set Flyball team was formed to promote the sport in Cheshire. All the founder members have been competing in competitions for a number of years and have won many awards between them. 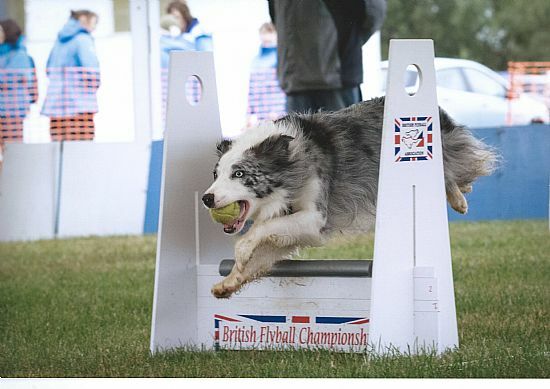 We travel the length and breadth of the country to compete and have won many British Flyball Association coveted awards. 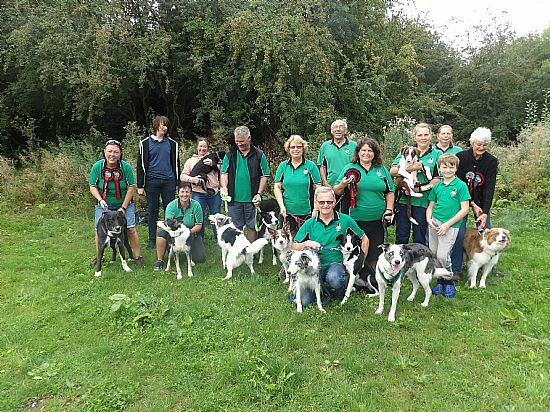 There is quite a social aspect to Flyball and during the summer months the team will usually pack up belongings and set up camp at the numerous competition venues around the country to take part in the fast and friendly sport. The Cheshire Set have run breeds as diverse as Smooth Collie, Jack Russell, Spaniels and Nova Scotia Duck Tolling Retriever. 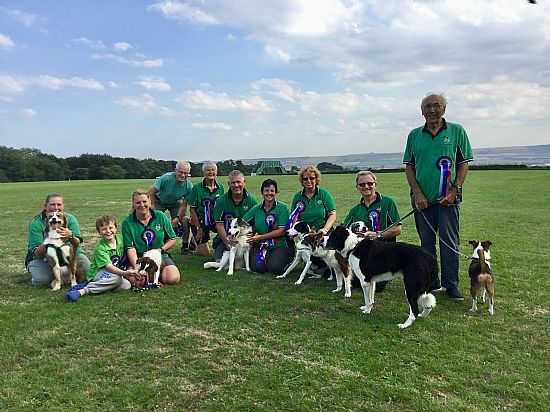 We welcome any breed of dog and encourage them to take part. 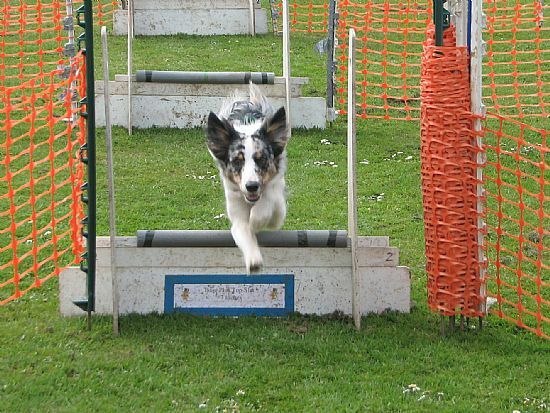 IF YOU WANT TO KNOW MORE ABOUT FLYBALL OR ARE INTERESTED IN JOINING OUR TRAINING SCHEME PLEASE USE THE FEEDBACK PAGE ON THIS WEBSITE. THANK YOU.